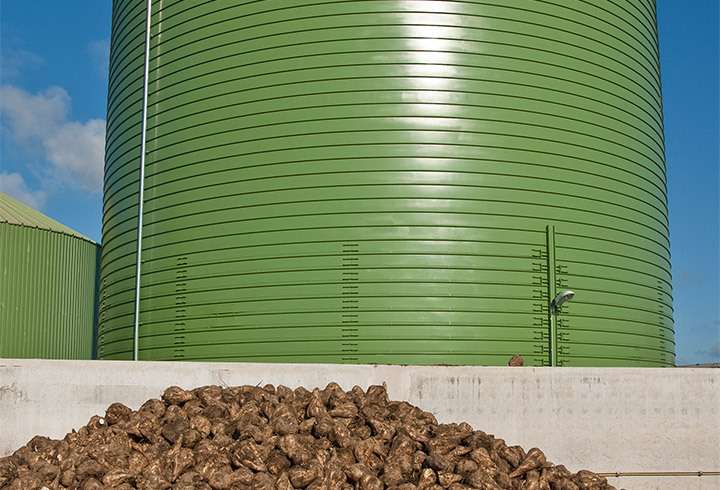 Following the further development of the Lipp dual seam system and the container material it was possible not only to build silos for bulk materials, but also silos for the storage of liquids, such as liquid manure. 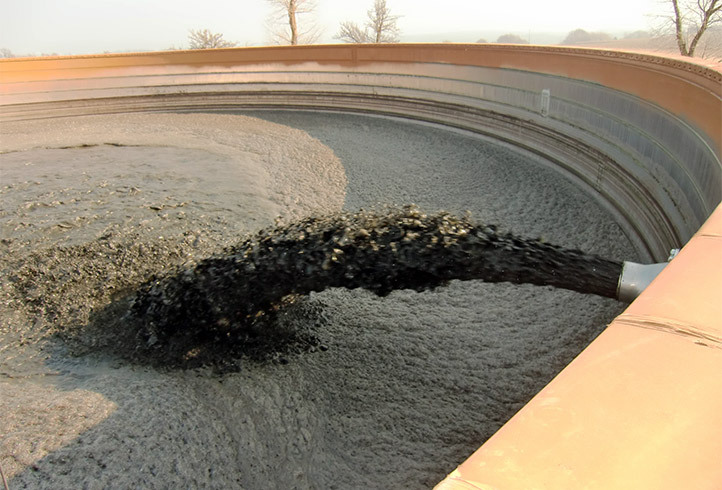 Since slurry is also rather more aggressive and can attack concrete or similar vessels, especially over the years, Lipp always offers its system solutions for the storage of slurry in principle in V2A stainless steel (1.4301), when it is clear that the tank will remain open. 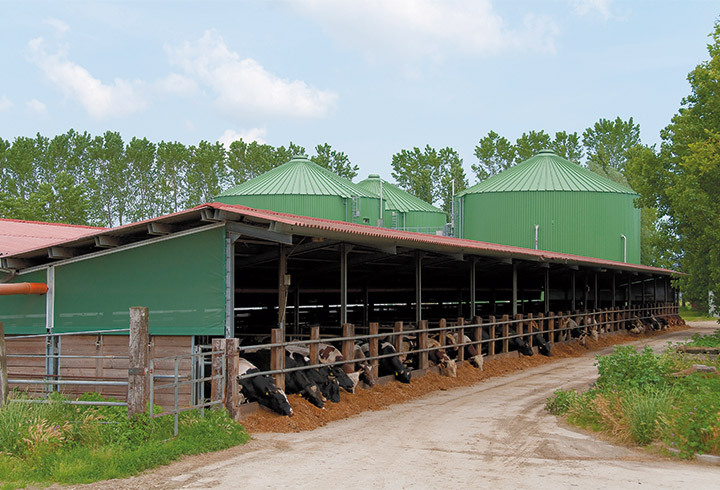 Possible changes are also taken into account with the customer during the planning process and in case of a future modification of the slurry tank consideration is given to an alternative material (V4A) or the possibility of a subsequent roof construction. Thus, the container retains its flexibility and can later be converted into a fermenter, secondary fermenter or other container. In addition to this flexibility, customers particularly value the high quality of the Lipp solution and the very long service life. 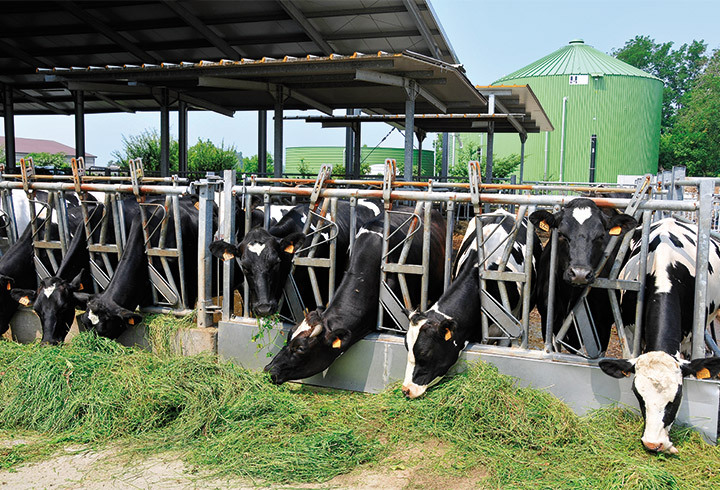 Slurry tanks from Lipp are particularly used for the storage of pig and cattle slurry. 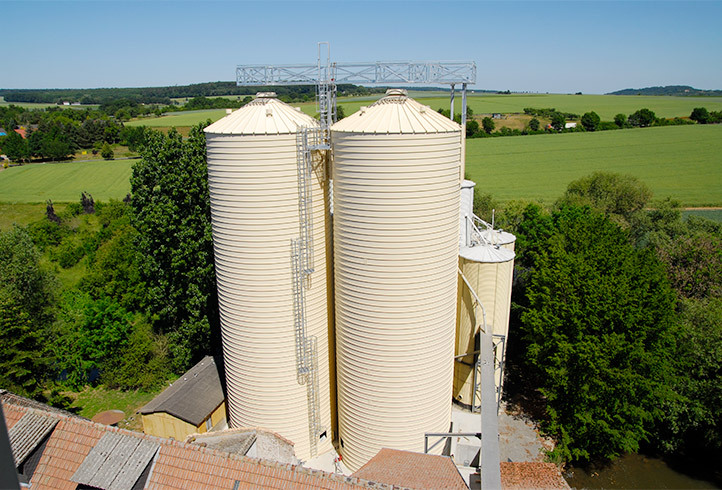 System solutions for the storage of grain in agriculture.